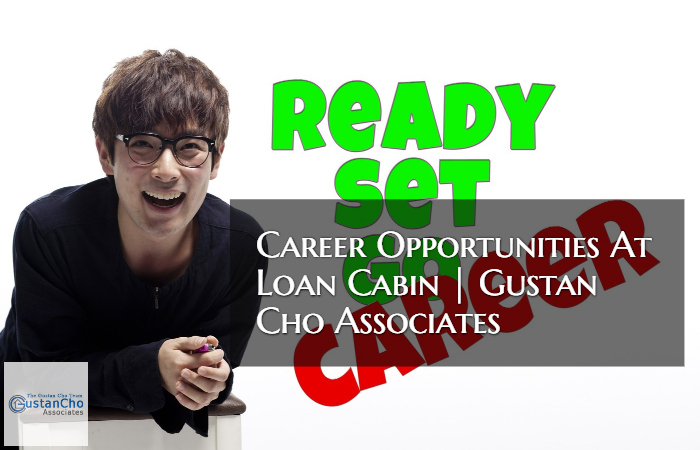 Loan Cabin Inc.| Gustan Cho Associates is hiring remote loan officers nationwide. At Gustan Cho Associates, we are passionate mortgage and real estate professionals with one goal in mind – make our employees, borrowers, and business associates our top priority. Benefits With Working With Us At Gustan Cho Associates at Loan Cabin Inc.
One of the greatest benefits working at Gustan Cho Associates, a division of Loan Cabin Inc. NMLS 1657322 is the full marketing and operations support we provide all of our licensed, support, and operations mortgage professionals. Loan Cabin Inc., the parent of Gustan Cho Associates is a national direct mortgage lender with no lender overlays on government and conventional loans. Loan Cabin Inc. dba Gustan Cho Associates has a nationwide reputation of not having lender overlays on government and conventional loans. Gustan Cho Associates, the national consumer direct division of Loan Cabin Inc. has a national five star reputation of being able to close loans where other lenders can’t. Almost every borrower who makes contact with are not just borrowers but lifelong friends. The best customer satisfaction they have experienced will be a reality at Gustan Cho Associates at Loan Cabin Inc.
We have no overlays and go off DU and/or LP FINDINGS. The automated approval via the Automated Underwriting System is every borrowers loan approval as long as borrowers meets all the conditions from the automated findings. As a team leader, responsibilities is to train and manage a team of new and experienced loan officers. We are an aggressive expanding team of mortgage professionals and are open minded and are looking for lifelong partners to help us expanding our team nationally. Interested parties should submit their resume to Michael Gracz, National Sales Manager at Gustan Cho Associates or contact/text Mike at (630) 659-7644 or email Michael Gracz at mgracz@gustancho.com. Applicants for team leaders, sales managers, and branch managers should have at least 3 year experience in mortgage loan origination, strong communication skills and be able to manage and be multi-tasked in a fast-paced environment. The ideal candidate will also be familiar with loan origination and automated underwriting software and have experience in leading and coaching a sales team. Please email your resume with a cover letter to Gustan Cho at gcho@gustancho.com or call 262-716-8151 with any questions. Job applicants may also contact our National Sales Manager Michael Gracz at (630) 659-7644 or email Mike Gracz at mgracz@gustancho.com. Gustan Cho Associates, a subsidiary of Loan Cabin Inc. has mortgage loan processor career opportunities Illinois branch offices as well as remote loan processor positions. Mortgage loan processor applicants should have at least 3 years experience processing mortgage loan applications. Applicants should be familiar with processing government loan programs as well as conventional loans, VA Loans, jumbo loans, reverse mortgages, and FHA 203k loans. This is a salary full time position. Our mission at Gustan Cho Associates Mortgage & Real Estate Information Resource Center is have the nation’s most informative comprehensive website where consumers can visit Gustan Cho Associates and find much needed information and news about credit, lending, and real estate. Gustan Cho Associates is aggressively seeking real estate and mortgage professionals to join us as guest writers where you can publish articles that cover topics in your field of expertise. Our News Letter Subscribers and viewers are consumers, home buyers, home sellers, realtors, attorneys, investors, students, and mortgage professionals such as mortgage loan officers, mortgage processors, and mortgage underwriters. Solicitations for business is not permitted. Gustan Cho Associates will give guest writers credit for the articles that authors publish. Minimum 500 word articles and duplicate content is not permitted. For more information, please contact Gustan Cho at gcho@loancabin.com or call us at 800-900-8569. Disclaimer: Loan Cabin Inc. dba Gustan Cho Associates is always seeking talented mortgage professionals to join our growing winning team nationwide.